All prices are in US dollars and include shipping and handling. Don’t Miss Out – Keep Your MPR Coming with Auto-Renew. YES! I want an easy way to keep my MPR up-to-date - sign me up for auto-renew so I don't miss an issue. I understand that I will be reminded of the charge prior to my renewal date, and I may cancel at any time without further obligation. 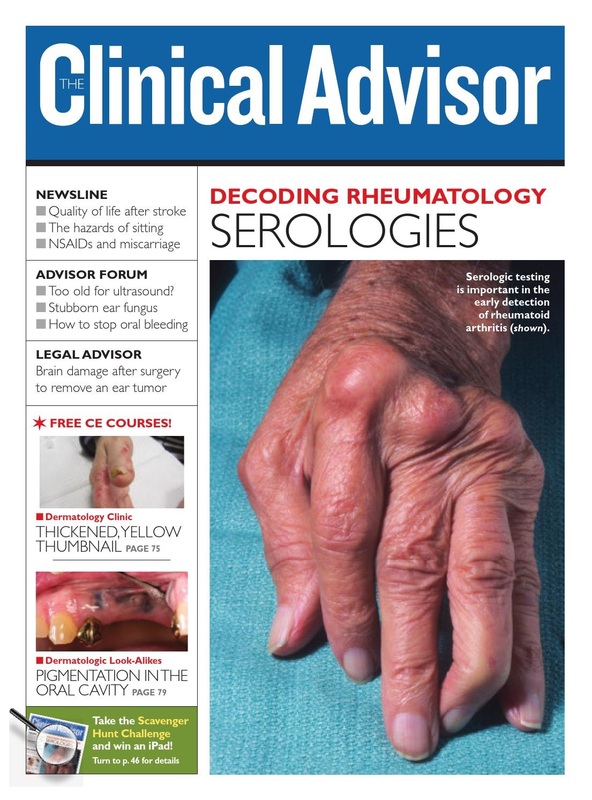 Add a subscription of The Clinical Advisor to your order! Order now and receive an annual subscription for just $75. The Clinical Advisor is geared to help you improve your skills and keep up-to-date! Don't miss out on the latest information on diagnosing, treating, managing, and preventing medical conditions. Yes, please add The Clinical Advisor to my order. YES! I want to receive these free publications included with my paid subscription. MPR First Report brings you breaking news from key medical conferences and important events. MPR’s reporters provide same-day coverage of oral sessions and poster presentations, then deliver critical findings in an easy-to-digest daily update right to your inbox. The MPR Spotlight is a monthly newsletter that provides information on drug products used to treat diseases and conditions commonly seen during the year. Each weekday, the MPR editors select the top news and features on trending topics to keep you up-to-date.